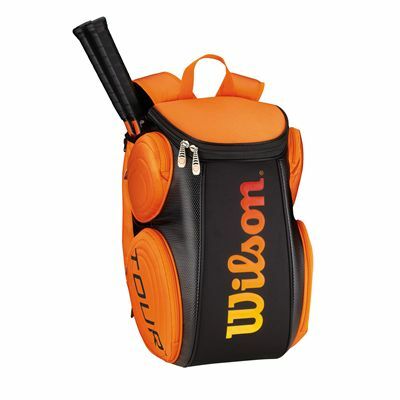 The Wilson Burn large backpack has a 2 racket capacity with Thermoguard™ protection in it that shields rackets and especially strings from moisture and extremes in temperature. The rucksack has 2 compartments, one for rackets and the other a large one for footwear, clothing and other equipment. In addition there are 2 large and 2 small accessory and valuables pockets, and the sports bag has an adjustable and padded backpack carrying system and a carry handle for transportation. for submitting product review about Wilson Burn Large Backpack.